No one really knows what is behind this door. Is she grief stricken, day dreaming, or simply tired? 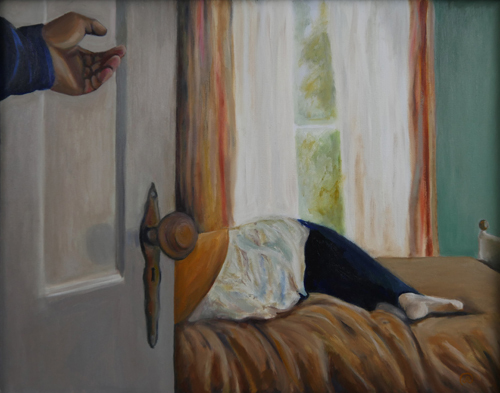 Entitled “Knock Quietly” this oil painting let’s the viewer determine the story. The colors of this painting are warm with browns, yellows and creams with touches of light greens. • Framed in 1X2 inch gray stained alder.